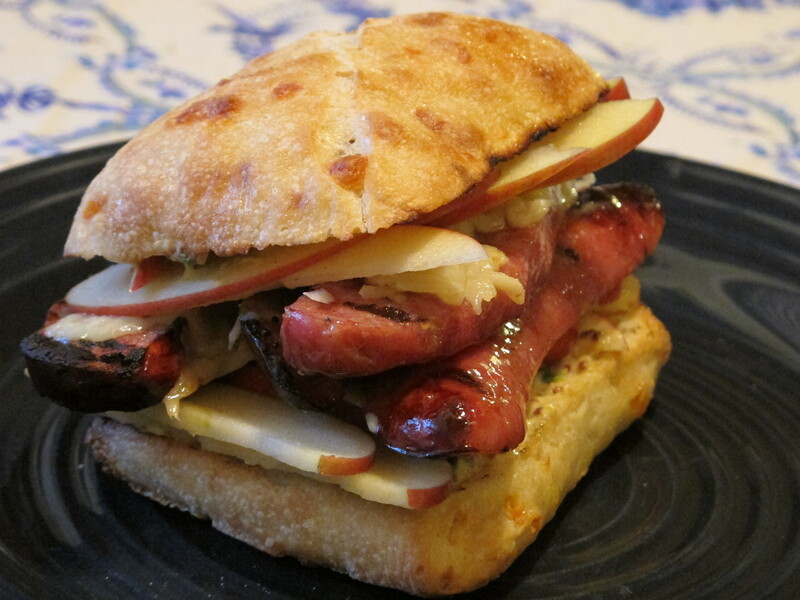 Who doesn’t love a great Chicken Apple Sausage Sandwich Recipe? Well we have an easy recipe for you to enjoy all year long! We go back to this recipe over and over again during summer months. Whether you are enjoying an easy backyard barbecue, camping or tailgating, this is a great recipe to have on hand for a quick & delicious sandwich. We love it for many reasons but the main one is the fact that it is so simple yet almost everyone just loves it–and we can make it anywhere easily. Most the prep can be done at home then all you have to do is assemble at camp or on the tailagte (after grilling for a few minutes) and you have yourself a great sandwich! Preheat grill to Medium-High heat & clean & oil your grill. Take each chicken apple sausage link and slice into thirds. Set aside on a plate or bowl to bring to grill. Or if bringing camping, store in an airtight container to put in your ice chest. 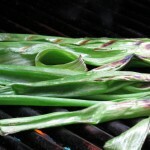 Rinse off green onions and pat dry. Rub with 1/2 tablespoon of olive oil. Set aside on separate plate to bring to grill. Combine whole grain mustard, Dijon mustard & Mayonnaise in a bowl. If adding lemon juice whisk in as well. 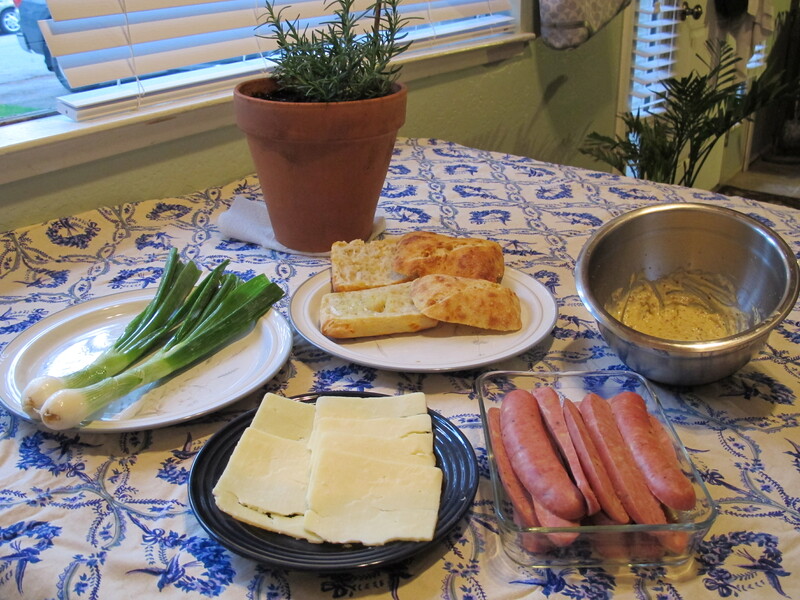 NOTE: If you have guests who are not a fan of mustard or grainy mustard, we will often make a separate spread with just Mayonnaise and lemon juice and then add green onions into this for them. (Or the opposite if they do not like Mayonnaise). 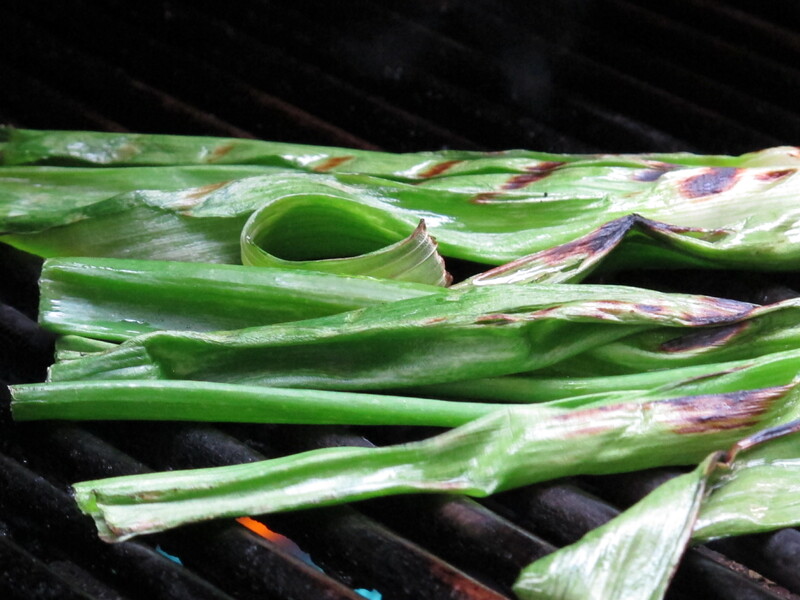 Grill green onions for 1-2 minutes per side until a few nice char marks are showing on them (see pictures to right). Bring into kitchen and set aside to cool for a few minutes. 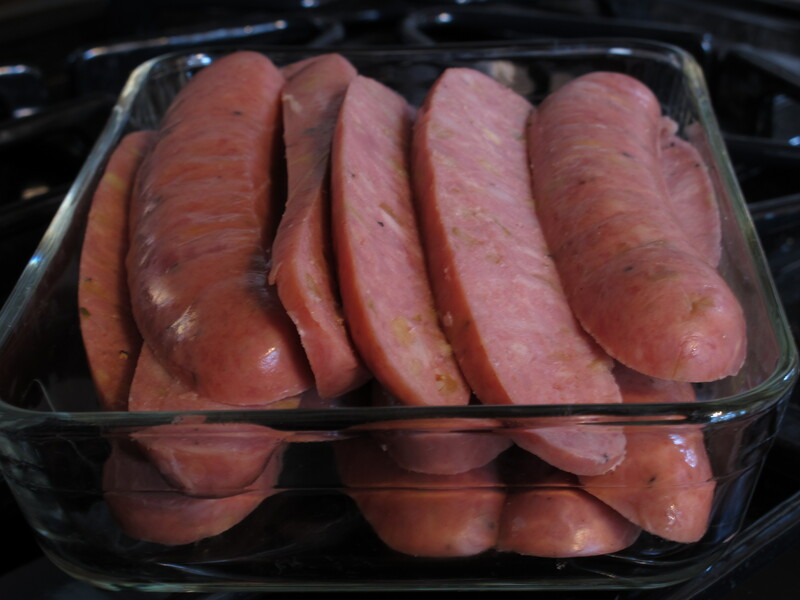 Once cooled, chop into 1/4 to 1/2 inch slices and then mix these in with the mustard mixture. NOTE: If bringing this to grill at camp or tailgate, set aside, store in airtight container and turn off grill at this point then finish next steps at camp. Slice Ciabatta rolls and spray inside of roll with Olive oil spray or brush with basting brush with olive oil (note: if we are camping, we often skip this step and it is fine, as the mustard mixture does give it a good flavor as well and soaks into the bread). Cut apple in half then thinly cut apples into slices. Set aside. 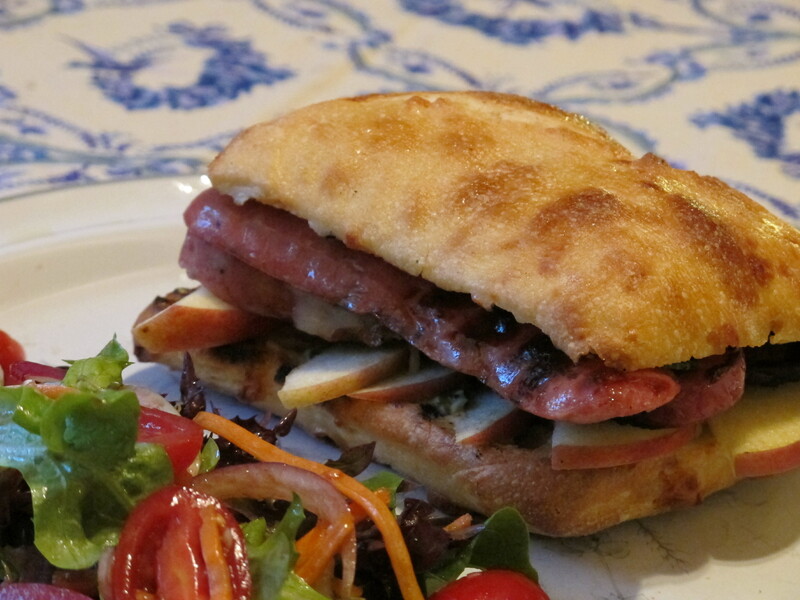 Bring sliced Ciabatta rolls, cheese and cut sausage links out to barbecue. Set sausage links in a row on barbecue. 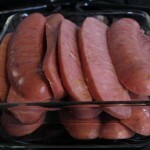 As long as you have pre-cooked chicken apple sausages, you only need to grill for 2-3 minutes per side. 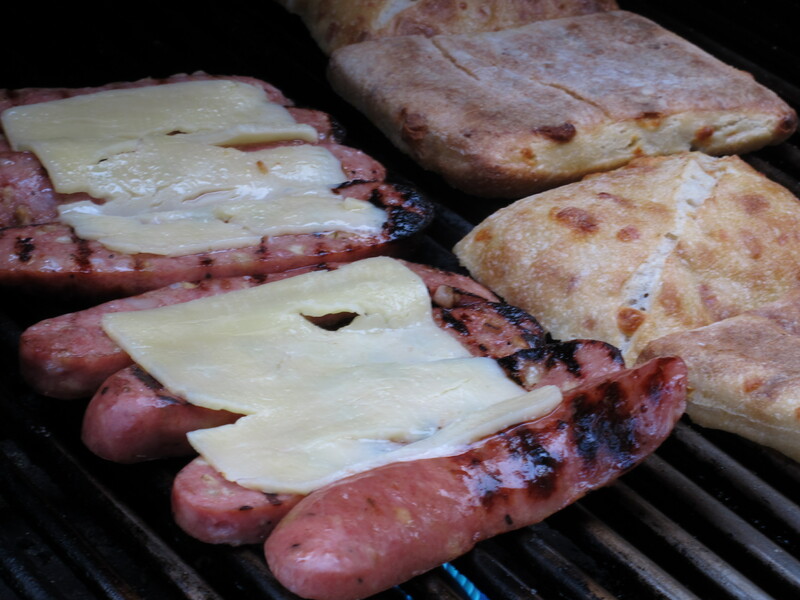 Once you flip them the first time, group sausages into 3-4 slices very close together on grill (see picture to right) Place a slice of cheddar cheese over the sausages so it can melt. If you like yours with extra cheese add two slices to each grouping. 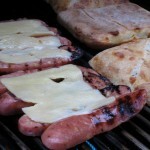 Once you place cheese over sausages, place ciabatta rolls on open side with olive oil over direct heat. About 1-2 minutes total so it toasts nicely. Remove sausages with a spatula to keep cheese together. And remove Ciabatta rolls. To assemble sandwich, lay out both sides of Ciabatta rolls and spread mustard mixture on both sides . 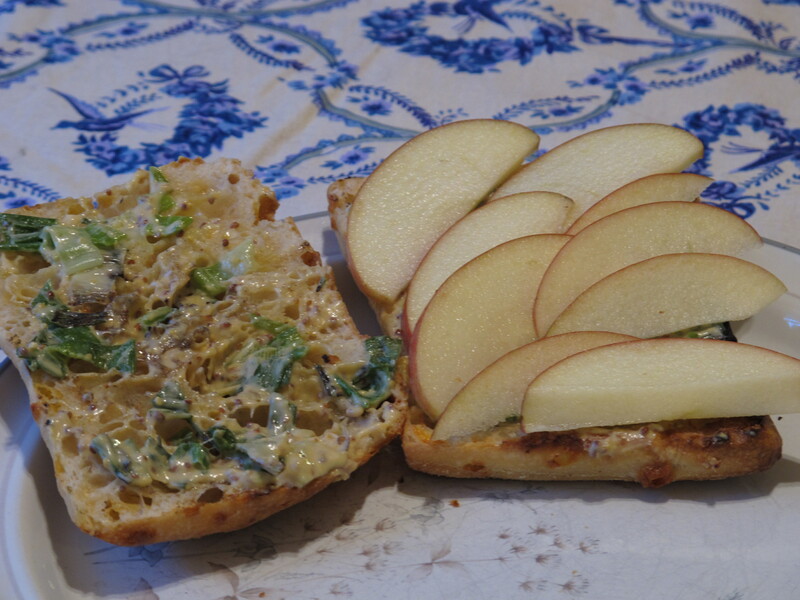 Then place a thick layer of apple slices on bottom side, place sausage and cheese grouping on top of the apples, then spread a few more apple slices on top. Close sandwich top and enjoy! !